So many things to say — but it’s so hard to find the words. Until now. Communicado! 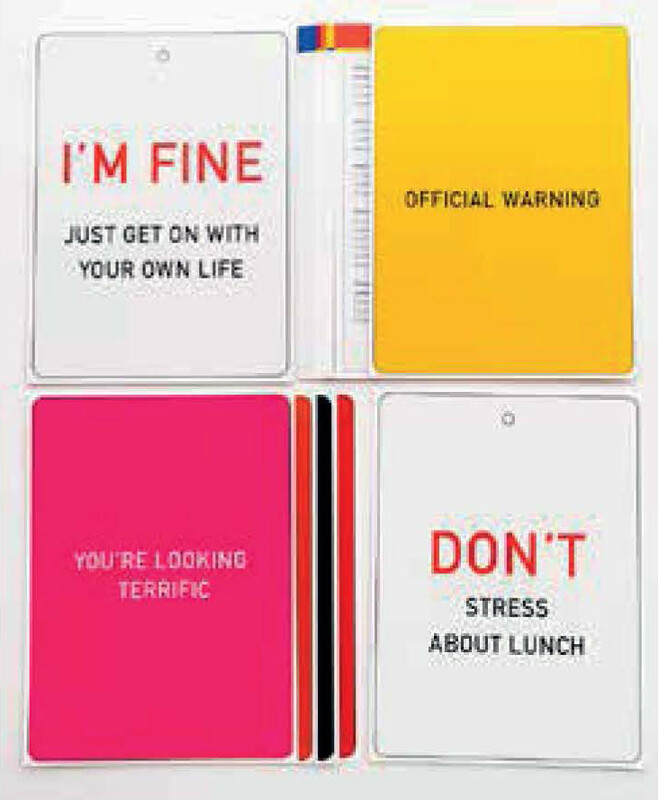 contains 30 large-format cards — many of them just waiting to be personalised — that allow you to say exactly what you mean to your friends, family, co-workers and the world in general. 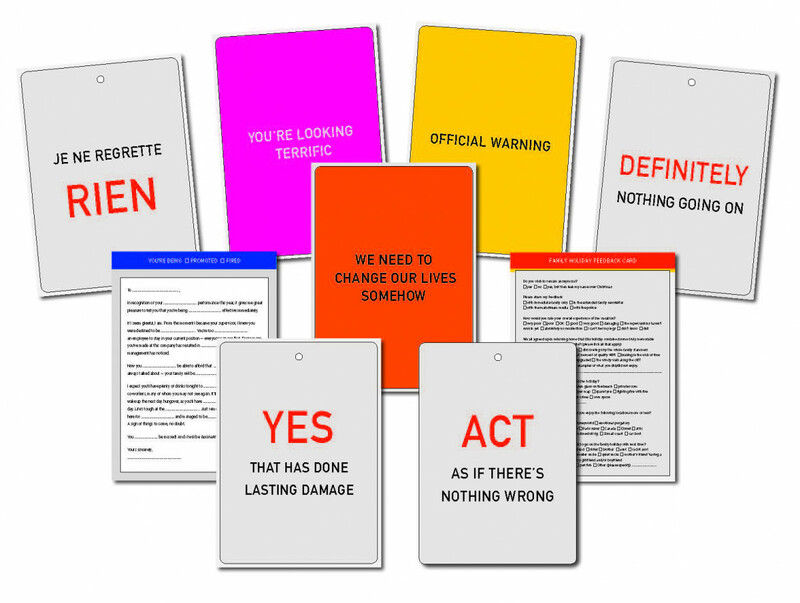 Display them in your home or office, or mail them to a deserving recipient. 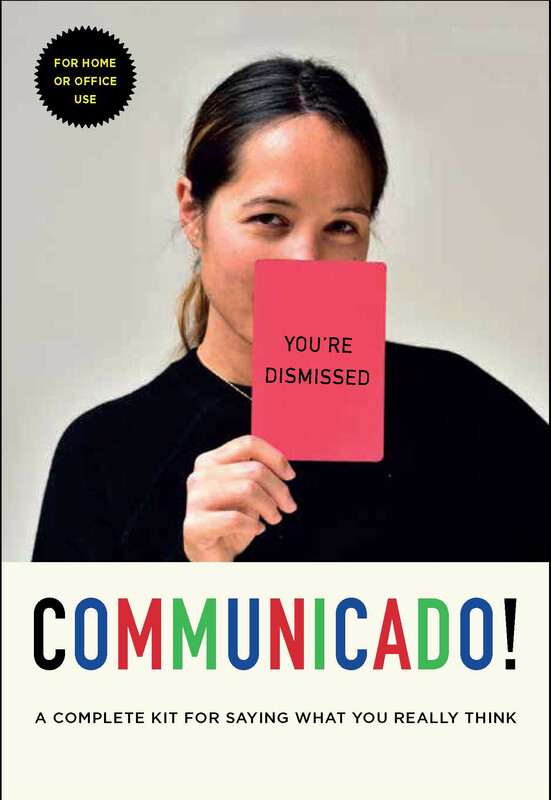 Life is tough, love is awkward, and communication can seem complicated —but Communicado! makes it all so easy! IT’S HERE – AT LAST! YOU’LL WONDER HOW YOU EVER LIVED WITHOUT COMMUNICADO!